Pile Packing: When Your New Carpet Gets Humbled To Every Fiber of Yarn! Carpets are some of the softest and plushest flooring materials available in the market. They provide a cushioned surface so that you can walk easily. A carpet in good shape can turn any drab room into a picture of opulence. Made with a variety of natural fibers and synthetic materials, carpets are usually made from wool, polyester, nylon, and polypropylene. Made by looping yarn threads through a backing material, a carpet can be cut into various angles to create a carpet pile. But a time comes when your carpet starts to lose its shine; it’s no longer what it once was. 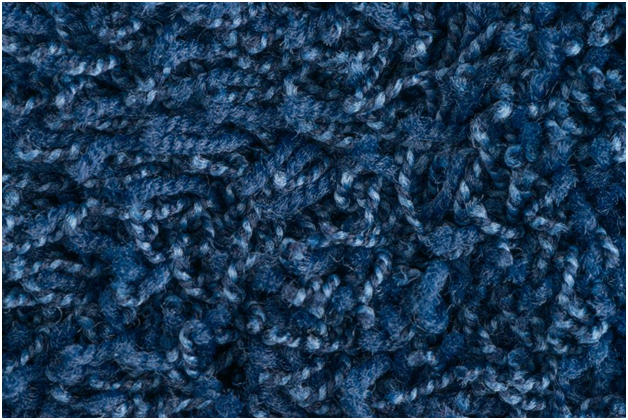 Carpets can become victim to pile packing, which is when the carpet starts to lose yarn resilience. Carpets face a lot of foot traffic, no matter where they’re placed at. When you step on a new carpet, you’ll notice that the fibers spring back to their original position after you’ve stepped off. That’s called yarn resilience; when the material regains its original position even after being stepped on or compressed under weight. Yarn resilience varies with different type of yarn. Wool and nylon have great yarn resilience and stay in shape longer. Materials like polypropylene or Olefin have really poor resilience. Acrylic and polyester fall in the middle. But despite the material’s inherent qualities, yarn resilience still occurs eventually, no matter what the yarn type is. As a result, the carpet starts pile packing. So, what causes a perfectly good carpet to start pile packing? The answer: improper maintenance and not taking enough care of the new carpet can cause it to wear and flatten prematurely. When you’re stepping from the outside to a carpet placed inside, you’re tracking in a lot of various pollutants with you; the world is full of them. Be it dust, grime, soot, motor oil, asphalt, fertilizer, pesticides, whatever the sole of your shoes come into contact with, the come into contact with the carpet as well. When you add food spills, crumbs, pet accidents, hairs, skin cells, food vapors, cleaning chemicals, air fresheners, disinfectants and a plethora of other in-house chemical residues to the mix, your poor carpet is left with no choice but to suffer. All these things team up together to weigh down on the carpet, causing it to pack sooner than it should. The longer you leave these substances trapped inside the carpet fiber, the more it will deteriorate. Experienced carpet cleaning services that provide trained technicians to rinse and vacuum the carpet properly are vital. At Excellence Janitorial Services & Carpet Cleaning, we provide reliable, hassle-free and affordable carpet repair and cleaning services in Bakersfield. Contact us now to schedule an appointment. Also, check out this helpful guide about how to find the best carpet cleaning service in your area.